It’s a new month and time for a new issue of Perceptive Travel, this time bringing you stories from Asia, the Middle East, and Florida. Our returning book authors this month travel by plane to two foreign lands and, in my case, across one state in a car. David Lee Drotar last contributed a story on Greece, where he witnessed the Syrian refugee crisis first hand as he toured the ancient islands. This time he visited the land of other ancient cultures, in Jordan hitting the evocative landscapes of Petra and Wadi Rum. The Beduoins he encountered in those areas gave way to more refugees as they moved north to Jerash. 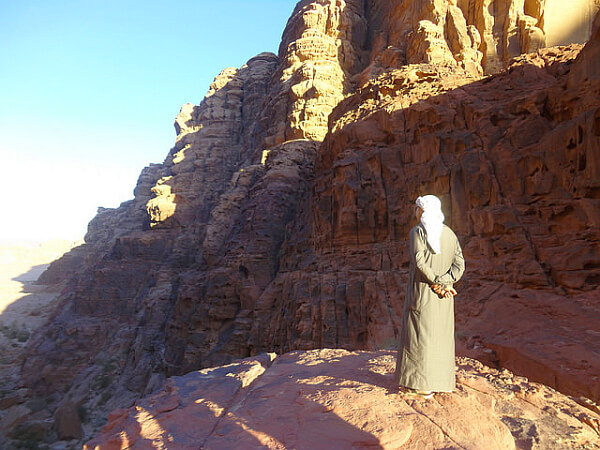 See Nomadic Voices in the Kingdom of Jordan. James Dorsey returns to China, hitting the area close to Mongolia known as Kanas. It’s a town that still reveres Genghis Khan, along with various deities, spirits, and shrines. He passes ahaman women and throat singers and is soon summoned to a home for a meal without a common language. See Breaking Bread in Kanas. My story is on finding the incongruities in a destination that seems one-dimensional, looking under the surface to find that the face of a place is only the start of the story. Head to Daytona Beach with me here: Diving into Art in the Land of NASCAR. 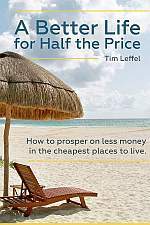 As always, we’ve got review of notable new travel books, with Susan Griffith checking out ones on trains, planes, and happiness through adventure. June 2016 book reviews. Laurence Mitchell digs into new world music from multiple continents. Last month Perceptive Travel reader Anne from Colorado scored some hiking shoes from Oboz. This time we’re giving away some other footwear perfect for summer. I probably tried and reviewed at least 60 pairs of shoes when I was editor of Practical Travel Gear. The ones from Oofos were the most comfortable by a wide margin. They’re pitched as “recovery shoes,” the kind of thing you put on after a tough day of hiking for eight hours or running a marathon. But I wear the flip-flops I have for a mile or two on sidewalks and a pair of clogs I have are my regular house shoes in my tiled house in Mexico. They’re made of squishy foam that has a huge amount of give but always snaps back into place. They’re like a memory foam mattress for your feet. We’re giving away “one pair for you, one for a friend” to whichever reader enters this month and gets pulled up by the randomizer at the end. You’re on the list, aren’t you? If not sign up here. The secondary way to enter is to follow Perceptive Travel on Facebook, but unless you pick the hard-to-find “show newest first” option top left on your Facebook feed, your chances of seeing the contest post are not great. Instead you’ll be served up more photos of cats and babies. Interesting choices. For me, it was more interesting reading about the Chinese region as I am familiar with Petra and Florida.